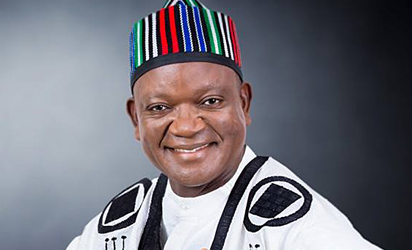 Makurdi—Governor Samuel Ortom of Benue State has pledged to continue to uphold the principles of rule of law and separation of powers among the three arms of government in Benue state. He made this known yesterday, when he hosted the outgoing Chief Judge of the state, Justice Adam Onum, who paid him a farewell visit in Makurdi. He stated that the processes for the appointment of a new Chief Judge had already commenced and assured that it would be completed on time to avoid a vacuum. Responding, Justice Onum expressed appreciation to Governor Ortom for giving him the opportunity as the first Idoma man to serve in the capacity, and the judiciary for the cooperation given him, asking for same to be extended to his successor.